At KUMC we believe that all that we have comes from God and that includes the church. It's not our church, it's HIS church. We are His stewards and His hands and feet in the world. We are excited to be part of a connectional system through the United Methodist Church that allows us to be at work, together with other United Methodists, all over the world. United Methodists are the second largest Protestant denomination in the United States. United Methodists hold to the historic doctrines of the Christian faith. We are evangelical, but moderates rather than fundamentalists. We value the intellect and modern science, while at the same time looking to the Bible as the authoritative guide for faith and practice. Methodists have a passionate faith with strong convictions, but we also recognize that the world is not always black and white. We are willing to ask questions, to wrestle with difficult issues, and to do so with grace and compassion. Methodists have open hearts, and open minds--and welcome, with open doors, anyone interested in learning more about the Christian faith. 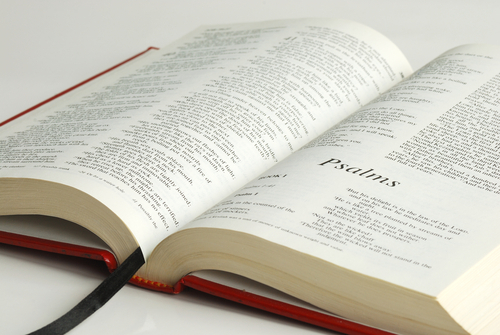 LEARN MORE about the United Methodist Church and our beliefs. KUMC seeks to Splinter the Darkness in the world. We will help strengthen your faith, fuel your fire, and fill you with the fruits of Christ. We will share the gospel, inviting all into the family of faith. We will be a source of hope in our community and the world through missions and ministries - reaching out, listening, and accepting all. We will make disciples of Jesus Christ for the transformation of the world. KUMC was organized on July 29, 1917 with the first organizational meeting consisting of ten people. By the next year, work was underway to construct a building with much of the labor being done by the members themselves and the first services were conducted in that space in 1919. The last service was held there in May of 1948 after which demolition began followed by the construction of a new building and later, additional classroom space. In 1967 a new parsonage was constructed, and the former parsonage was renovated to provide additional space for church use. In the ensuing decades, KUMC served the community through programs for all ages - particularly children and families and responded to the changing needs of the area, adding a Food Pantry and Hispanic Ministry. God richly blessed us as we faithfully responded to his call. In recognition of our ministries and outreach, KUMC was recognized as one of the first ACTS 2 churches in the conference. And our ongoing support of missions continues to earn us recognition as a Rainbow Covenant church. For more information on these designations, link here. True to its roots, KUMC continued to be a "church on the move". We broke ground on a new facility situated on a 10 acre site at the corner of Forestville and Old Crews Roads. In August of 2009, we joyfully celebrated our first worship service in that space, with the Bishop and District Superintendent in attendance with us. Our area's continued growth in has created the demand for more adequate space for the varied ministries and missions God is calling us to do. Already future plans exist for additional building phases on this site which include a youth and music wing, another educational wing, and a dedicated sanctuary. By the grace of God, we look forward to continued growth and expanding ministries, missions, and outreach. For a more detailed history of our church and to view a complete listing of pastors who have been appointed to KUMC over the years, link here.